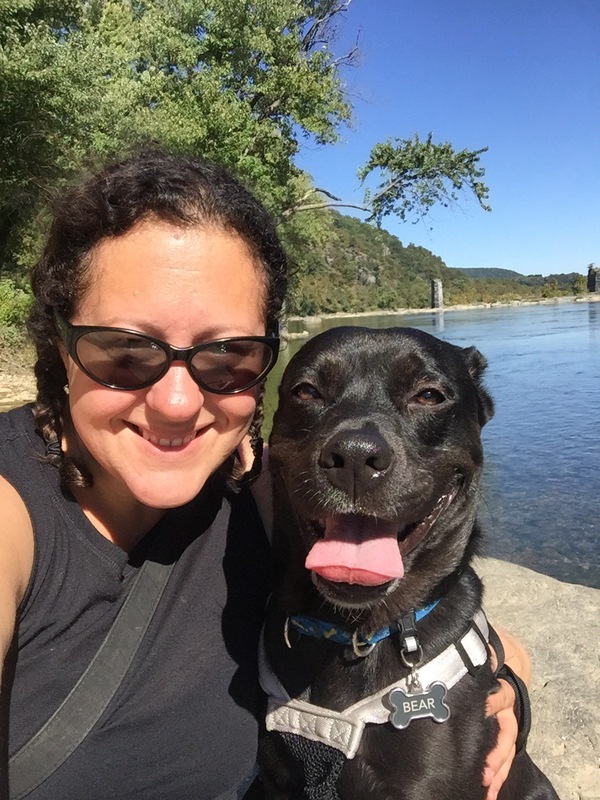 Hiking with my dog at Harpers Ferry National Historical Park over the weekend was fun and beautiful. It was also Bear’s first real hike! 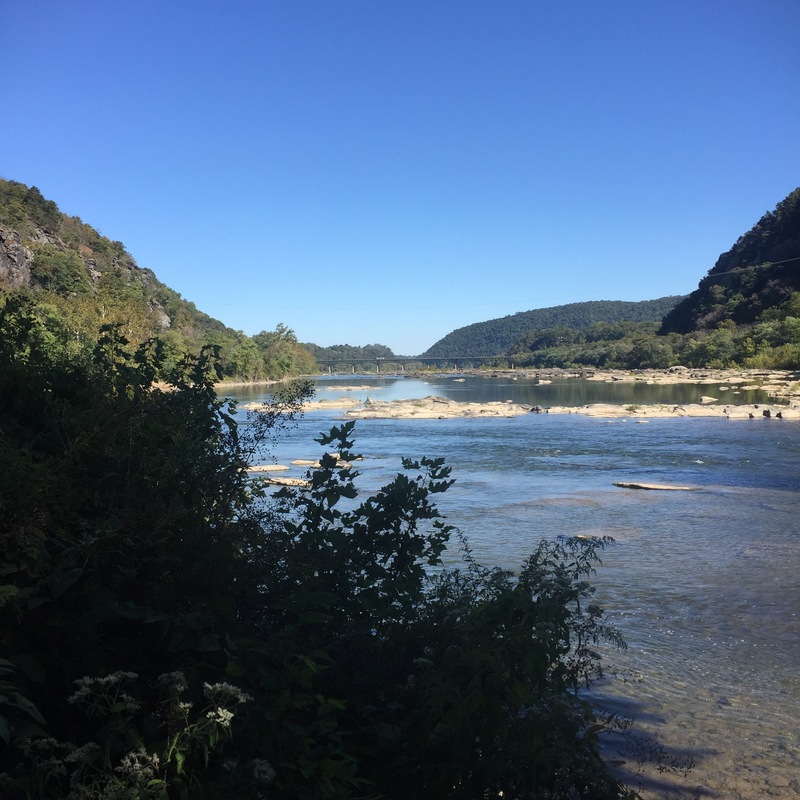 I’ve driven past Harpers Ferry a bunch of times and have read about it, but I never had the opportunity to visit until Sunday after we walked in the Two By Four Race. It was about a 50 minute drive from where we were in Virginia. A lovely drive, we traveled through rolling mountain roads filled with horse farms, lots of wineries and lush green fields. 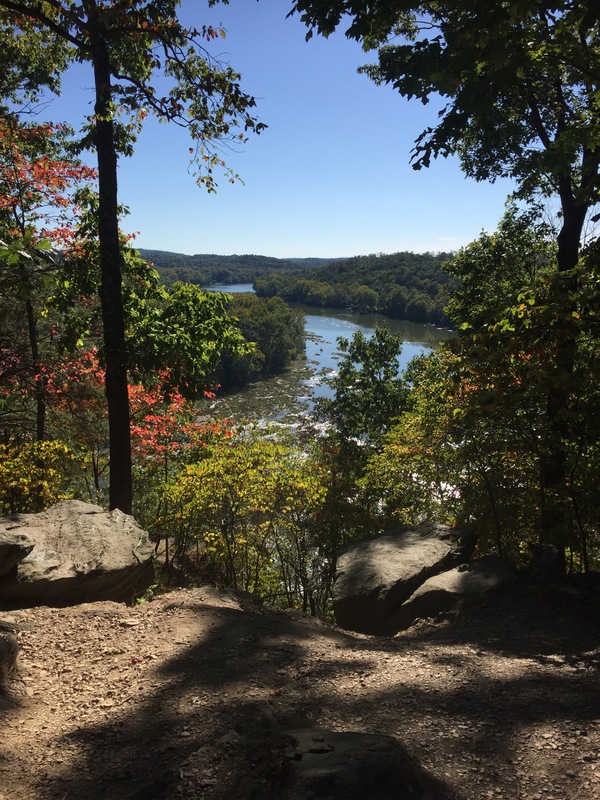 For those of you not familiar, Harpers Ferry is at the intersection of three states – Virginia, West Virginia and Maryland – as well as two rivers – the Potomac River and the Shenandoah River. There are a ton of rumors that it’s also haunted, and it is a bit erry there. The actual park was a bit confusing, despite doing research before we went. Dogs are not allowed on the shuttle, which I knew, but I didn’t realize the extent of the trail that goes from the visitor’s center into town, which is the preferred method to take your dog into town. At 1.6 miles, it’s not the distance that freaked me out but, instead the sign that warned it was rated a strenuous hike. We started to do it anyway, until we got to a sharp and steep downhill section. I chickened out and headed back to the car, mostly because it was Bear’s first hike and I didn’t know how he would do in those situations. 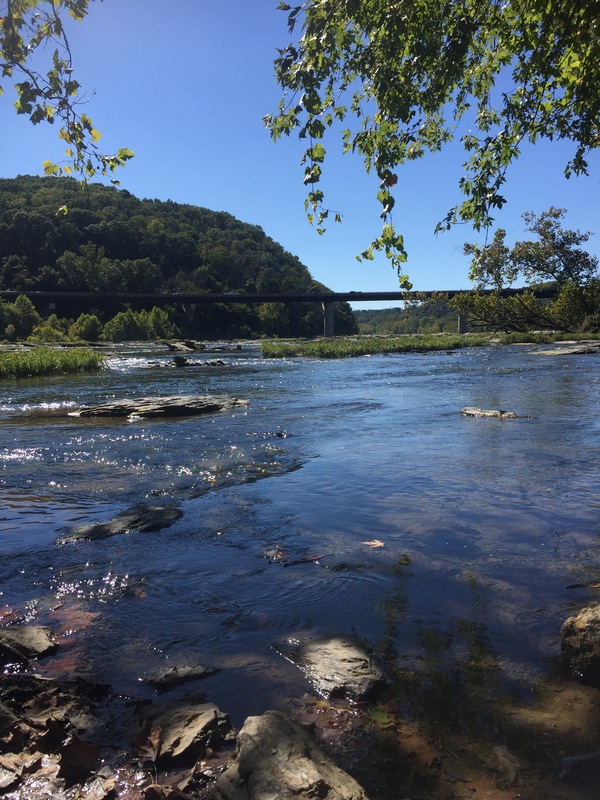 Instead, we drove around the town looking for a spot, which we finally found after a long while, and hiked along the river – Halls Island and Virginius Island. It was absolutely beautiful. 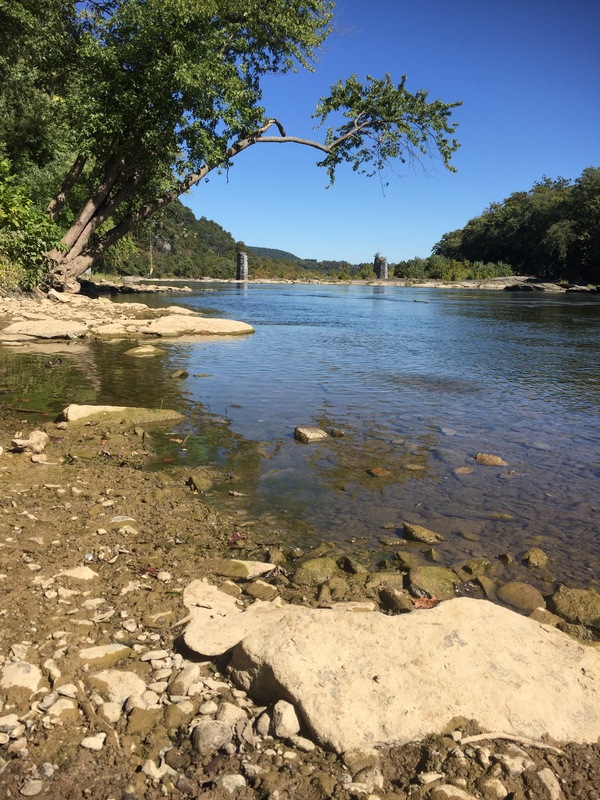 We were able to hang out on some of the large rock formations on the river and take some beautiful photos. Bear did great with this. Even in the one area on the railroad bridge, which is very narrow, he kept close to me and didn’t bother with any of the other people or dogs. 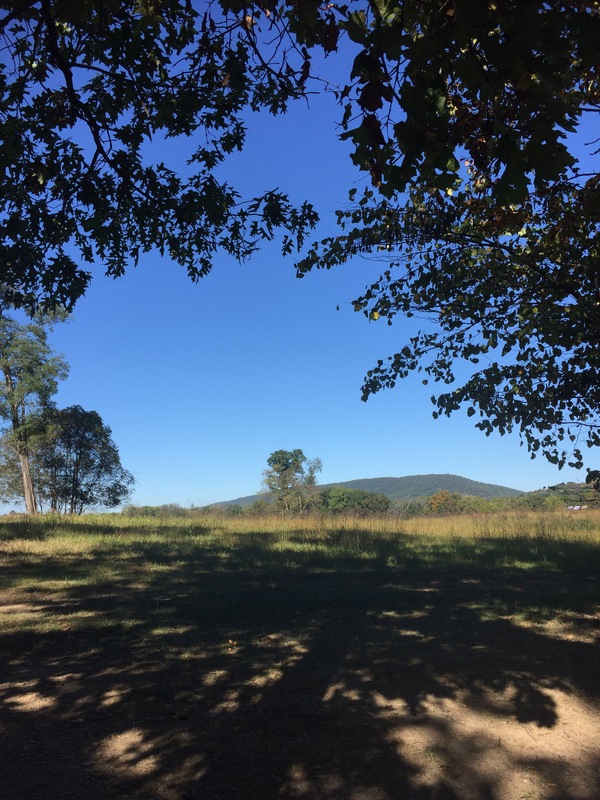 After our hike there, we headed back to the car and on to a different area of the park called Murphy Chambers Farm. 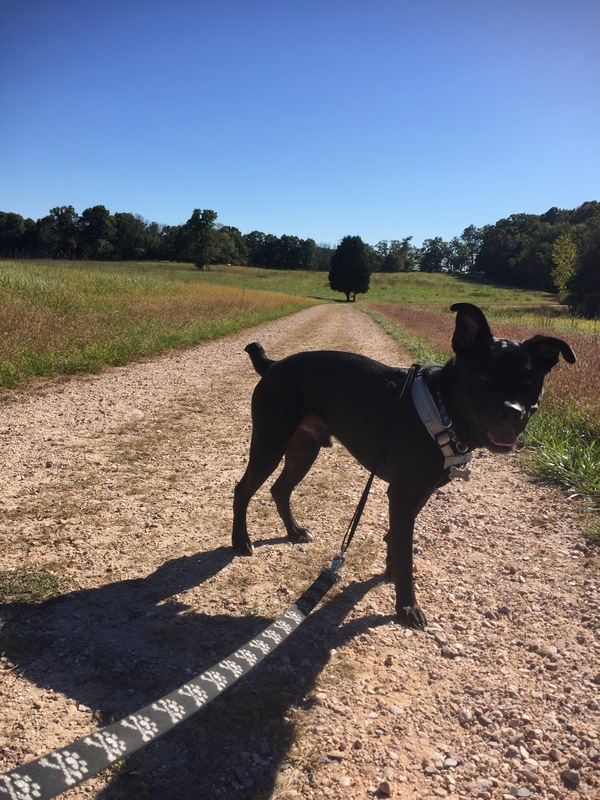 The farm, suggested to us by park police when we were talking about our dogs, was also absolutely beautiful and felt like you were a totally different area. Hills and tall grass with stunning view high above the river that we were just walking next to. 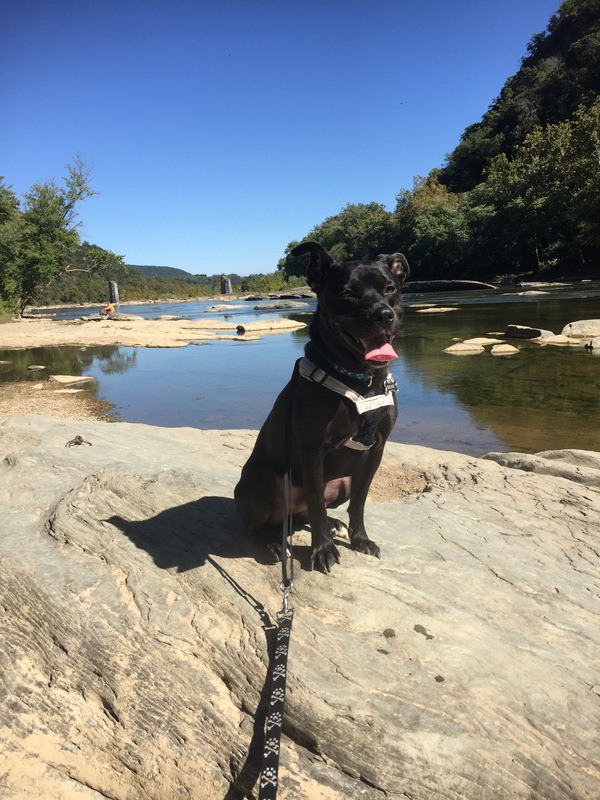 There were a lot of other hiking trails, that we didn’t’ get to explore, and would love to go back once Bear and I get a little better acquainted as hiking partners. Overall, it was a blast and I am so happy we did it. He was exhausted and slept the whole ride back to Jersey. When we got home got out of the car, ate his dinner and went right back to bed. An exhausted dog is a good dog.